Cape Cod Heating & Cooling HVAC » Air Duct Cleaning » Duct cleaning services for cleaning out hot air heat and air conditioning duct systems. 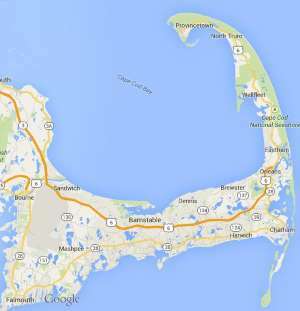 Free estimates from local Cape Cod air duct cleaning companies. Get quotes on your air duct cleaning project in Barnstable, Brewster, Bourne, Chatham, Dennis, Eastham, Falmouth, Harwich, Mashpee, Orleans, Provincetown, Sandwich, Truro, Wellfleet or Yarmouth, MA. Duct cleaning services for cleaning out hot air heat and air conditioning duct systems. Need Air Ducts Cleaned. Looking to get done in the next few weeks. Need an estimate for a 3 bedroom ranch, on a slab, that need forced hot air heating ducts cleaned. Don’t know when the last time they were cleaned. I have a 2 bedroom ranch in Hyannis. We have been getting moldy/mildew smells coming from the heat vents in one end of our home. It is quite strong at times, primarily in the bathroom and main bedroom, with lesser severity in the second bedroom and a room in the basement. 1400 sq foot home in New Seabury, forced hot air, want to get all vents cleaned out. Home built 1969, probably never been cleaned. need air duct cleaning, have 11 grates.